Super CAS card Berni, I just love the mistletoe die! Wonderful color choices for a festive looking card. This is so festive Berni! 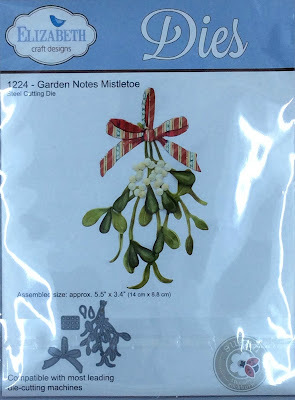 I love that mistletoe die!! 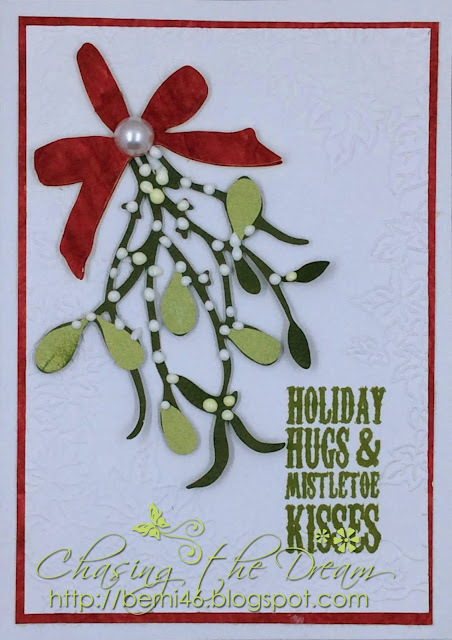 So cute, I love mistletoe, pretty texture to the background too! Thank you ladies, have a very Merry Christmas to you and your families. I just love these details! Happy Holidays Berni!